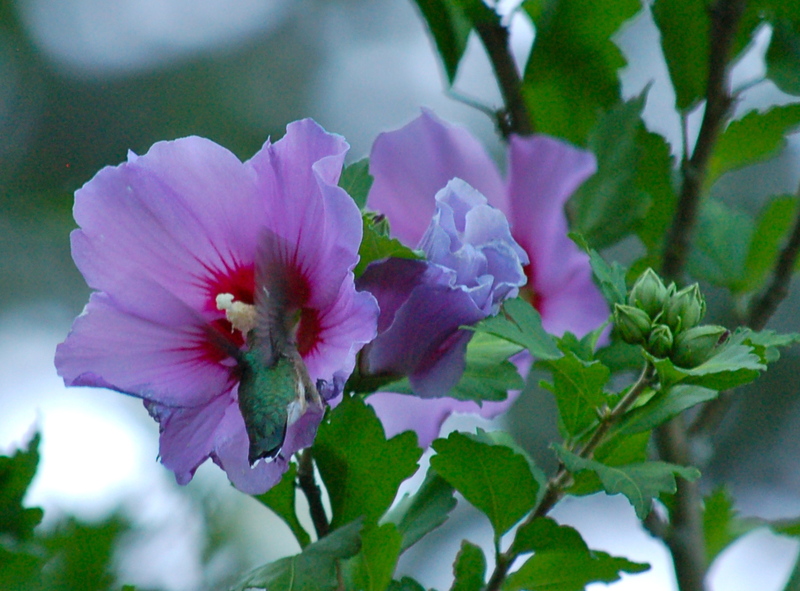 Now that our Rose of Sharon trees are blooming, the hummingbirds are buzzing all over the place. Yes, I know, dear readers: A few weeks I told you I was taking a summer sabbatical from El Blog de Joy. But then our hummingbirds proliferated, and we now have six of them zooming around the garden, dive bombing us and each other. How can I possibly resist sharing photos? 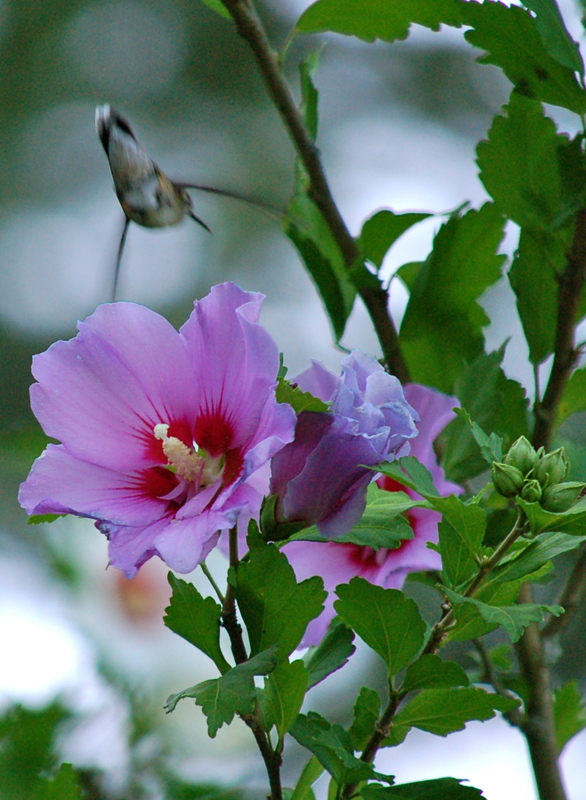 They are ruby-throated hummingbirds — the only species found east of the Mississippi. 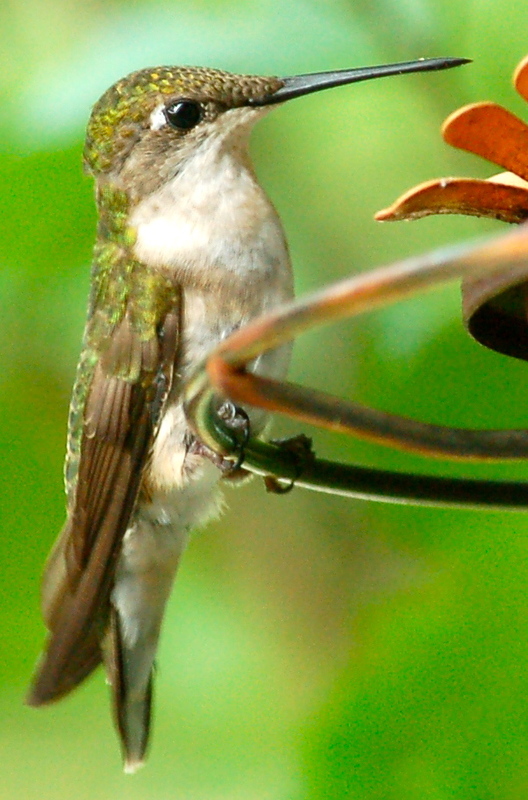 They’re a little smaller than the all-green colibris we had in Mexico City, but every bit as spunky and feisty as their south-of-the-border primos. 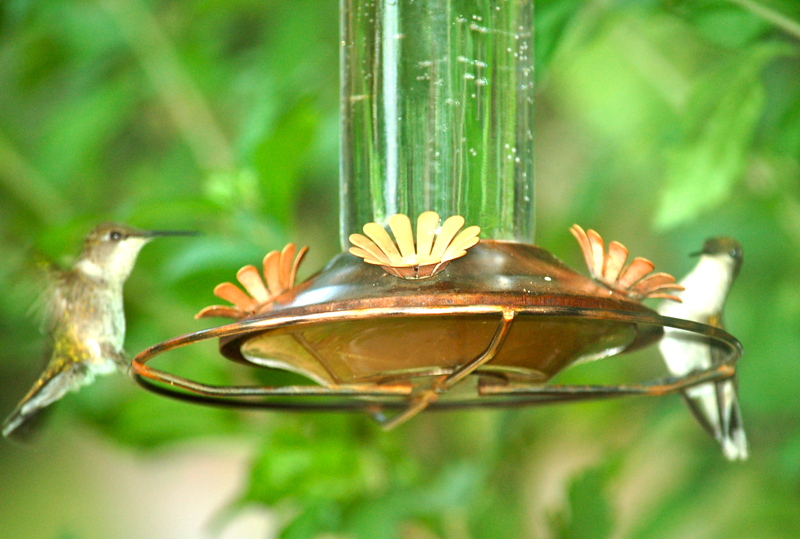 The weird thing about chillin’ with hummingbirds is realizing how smart they are — when their nectar has run dry, one of them will locate whatever room we are in, and hover right outside the window, staring at us. If they had hands, they’d put them on their hips while tilting their heads disapprovingly. 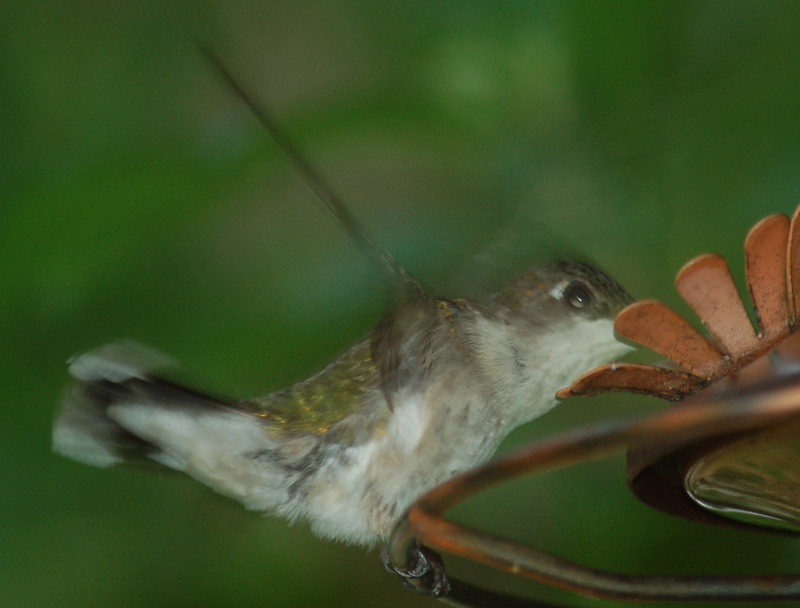 Blurry: This is how most of my hummingbird photos look. But every once in a while, they slow down for a split second, allowing a focused shot. The girls lack the brilliant ruby throat of the boy, but they’re still sparkly. Because we have only one adult male flitting about, I wasn’t able to get any photos of him — he’s a little camera shy (or outnumbered and skittish around all the ladies). 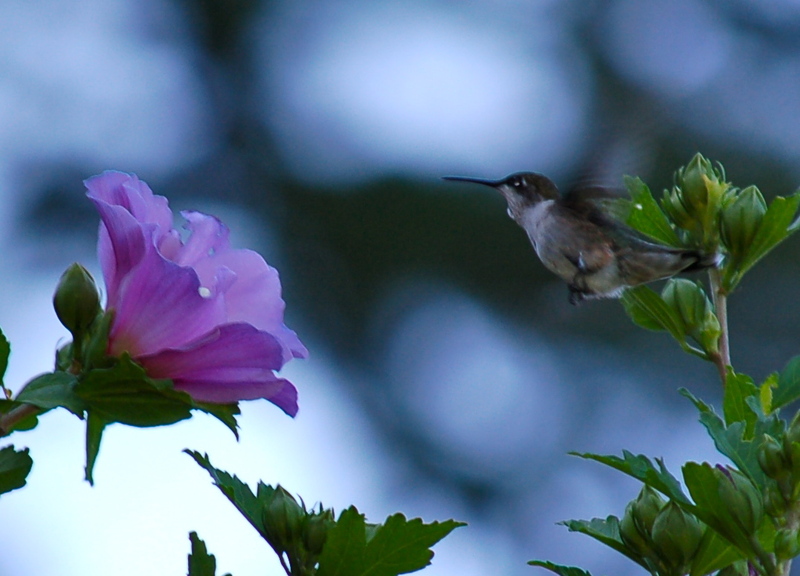 Sometimes, in rare moments, our hummingbirds are willing to share. It’s not easy for them. You can see how peeved the lady on the right looks. Which one to drain first? Choices, choices. As with shooting them at the feeder, they’re so fast it’s almost impossible to get a nice photo. 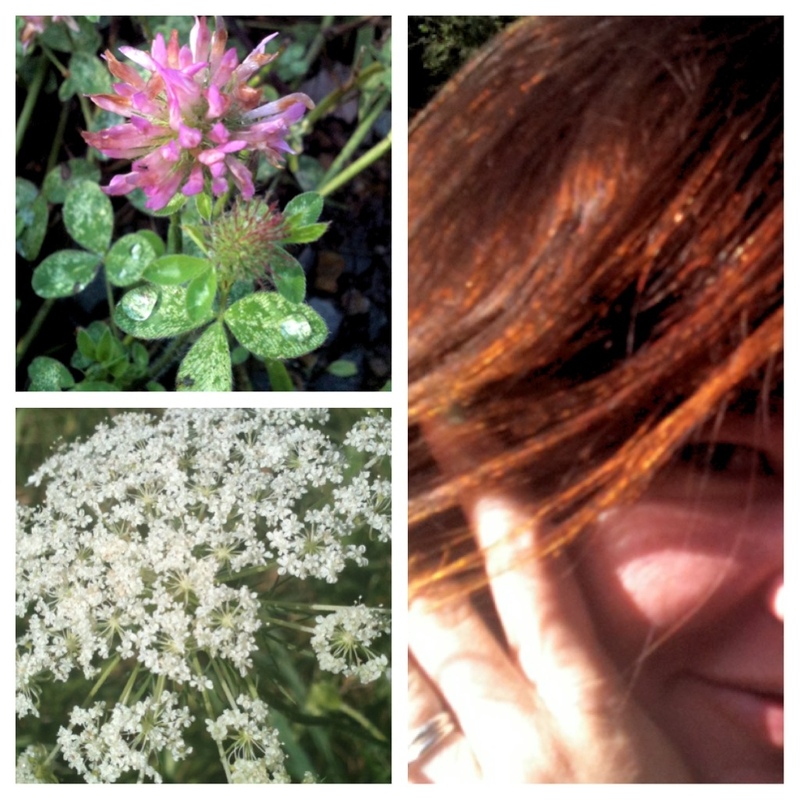 After 836 posts and six years, El Blog de Joy is taking a sabbatical. Not sure for how long, but it’s time for a breaky-break. See you on the flip side!